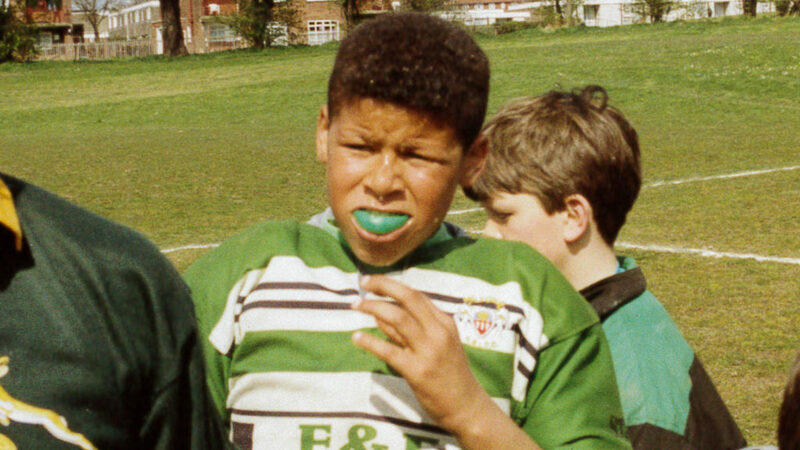 Few people know Ryan Bailey better than his former team mate and friend Jamie Jones-Buchanan. 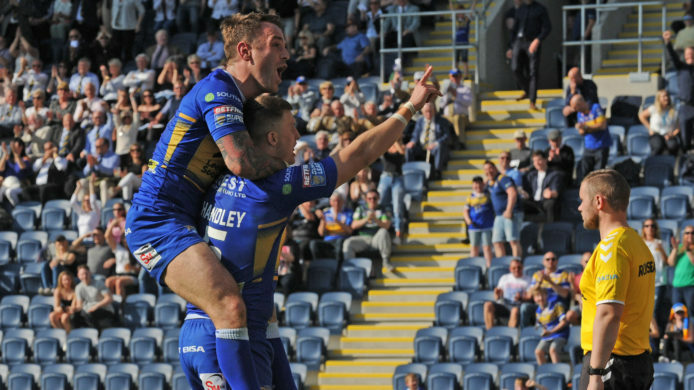 The pair came through the Rhinos ranks from the Academy and went on to win six Grand Finals together along with Kevin Sinfield, Danny McGuire and Rob Burrow. Back in 2014 Jones-Buchanan gave his unique insight into his fellow forward. 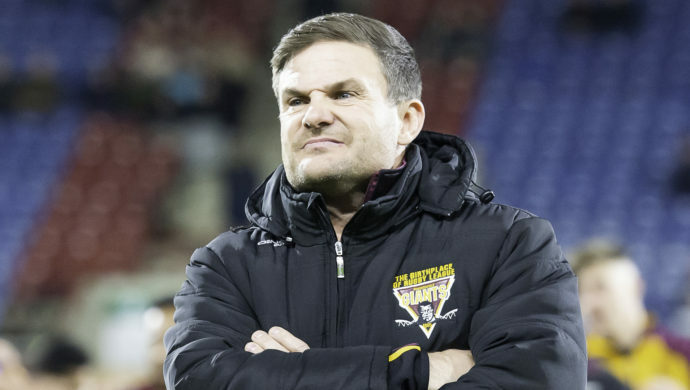 Ryan is someone who many would perceive to be the pantomime bad guy of rugby league, a cult figure for his following home fans and a figure of notoriety for the opposing fans. Of-course, behind any stage of any drama the entertainers leave the show and become the everyday person who the audience don’t get to see. In this case it’s a player outside the 80 minute judgment window who I have been fortunate to know for many years, hold in a very high regard and have shared some of my life’s most positive experiences with. I’m not a very liberal person – in that the more you want to be “all things to all men” the thinner a person’s integrity gets, but in the same way that I appreciate that a “single meal” has to contain many different individual ingredients, there’s a place and a role for everyone and their abilities. The problem comes when all the potatoes start judging the other vegetables because they don’t mash very well or don’t fair too well in the chip pan. It’s important to realise that we are all products of our experiences and our actions are dictated by our own individual abilities. Once you understand this, you can get the right mix of ingredients into the pan or in this case, the right mix of players into the right team all of whom come together to complement each other, even when they’re very different. Like the majority of rugby players I’ve met, Bails is a great lad to know and he does things on the pitch only he could do. For me Bails is to my team what a chilli is to a madras and we wouldn’t be the same without him. For everyone else I thought it might be interesting to have a look at the character in some depth and get to know a bit about one of the most entertaining characters in the game. He revealed it was a chance invitation that led to him picking up a rugby ball for the first time. 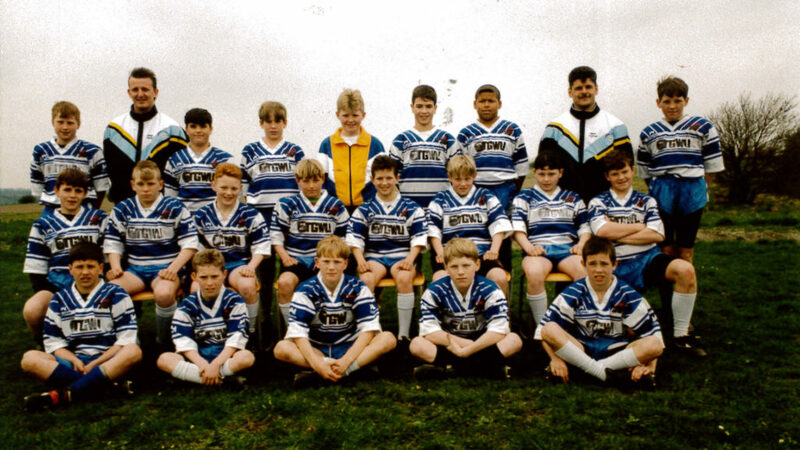 He said, “I played a lot of football as a kid but one day, my friend’s mum put a letter through my door to my mum asking if she fancied bringing me down to Milford RLFC to play Rugby. My mum told me about the letter and I asked her what rugby was, I had no idea but I said I’d give it a try. I went to a training session and the coach told me I would love it and that I could do what I wanted, grab players, smash them, pick them up and dump them, so I thought ‘Ah yea buzzing’ and since then I’ve never looked back. “I think she probably posted that letter because I was tall and lanky I think she just saw the size in me. Training through the winter was like a mud bath, wrestling each other in the mud and I loved it, I got all my aggression out there, rather than doing it in the streets. Instead of kids going round looking for trouble they can get their aggression out somewhere else and rugby is an opportunity for them to do that. Being tall I was always the one getting in trouble, probably because I was the one who stood out the most. I was athletic as a kid, one of the fitter ones and always wanted to win, even doing things like the bleep test I always wanted to win that. When we played football I would want to be striker and the goal keeper, I wanted to be the best player. 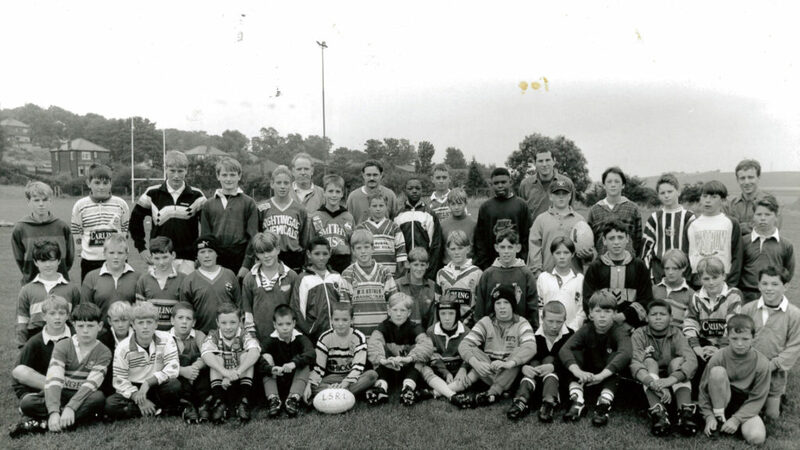 “I always wanted to play my rugby in the middle, that’s where all the action was, I wasn’t fast enough to play on an edge but I used to score a lot of tries playing in the middle, I was big and I could bounce everyone off but it got harder as I got older because everyone got bigger and started to catch me up. That was as a back rower but after I signed for Leeds I moved into the front row,” added Bailey. One of the hidden talents Bailey has that not many people would know about are his unreal kicking skills. They probably stem from his boyhood football days and his appreciation of the Premiership. On the rare occasion when our Head Coach Brian McDermott lets us bust out the round ball, Bails loved to take on his role as Carlton Palmer (for some reason I always have to be Vincent Kompany or Joleon Lescott?). Where his soccer skill have carried over to Rugby League, is in the numerous occasions he’s ended up with the ball on the last play and we have scored off one of his world class cross field kicks or have benefited from one of his 70 metre kicks that has sat up perfectly in our opponents ten. As well as his kicking skills he’s obviously also a formidable forward, who has taken a lot of inspiration from two of Super leagues ultimate Warriors in Moz and JP. 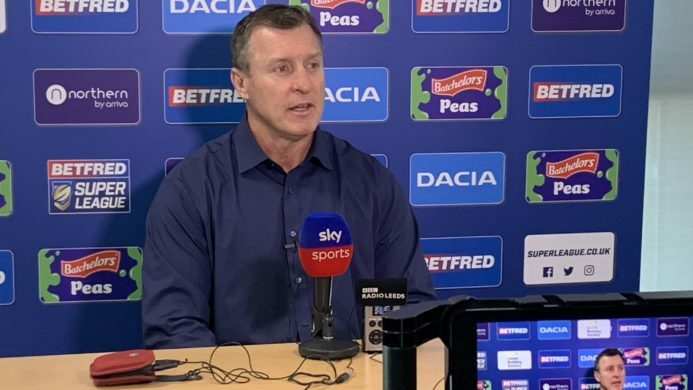 He added, “I rate myself as a kicker but we have Kevin Sinfield – one of the best kickers in the world. I think when I retire from professional rugby and go back to amateur I’ll do some kicking there. I don’t see why front rowers couldn’t be heavily involved in a kicking role if it would benefit the team. I kicked in the academy, even kicking goals in an Academy Grand Final once. I kicked them from the edges and Danny Mags kicked them from under the posts, I had a license to kick then. I wasn’t confident enough to bring it up going up into the first team – you don’t see front rowers kicking goals these days. “I watched a lot of rugby after I started playing because I wanted to learn from the top players. 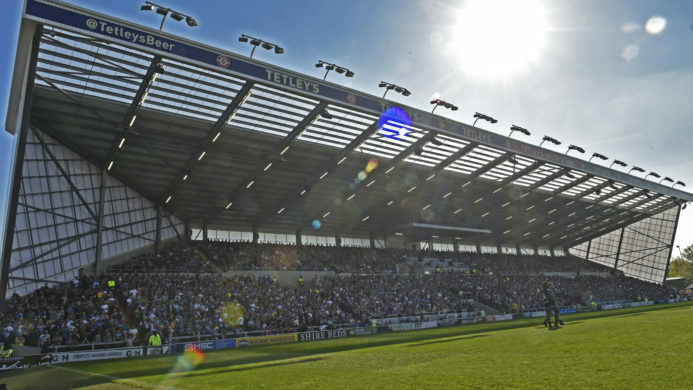 Me and a few mates used to come to games at Headingley via the back ginnel where the scoreboard was and we would climb over the wall and sneak in – we couldn’t afford to get in. 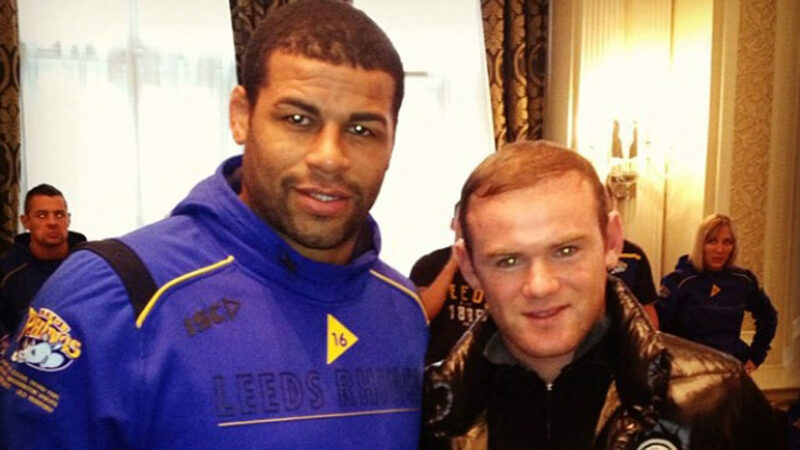 “Adrian Morley was my idol really, because he had a similar running technique and was aggressive. He would get stuck in and that was like me. In terms of the top players I would have to put Morley and Peacock in the same category, they never take a backward step, will go all day and will always be there for you, you can rely on them. Everyone rates the NRL players as better than ours but one day we will take over them, I don’t like to think they’re better than us so I don’t like rating them. “I never thought I would ever play for Leeds, I was 15-16 when I started watching and I just looked up to them that was until I found out about scouts and Leeds scout Bob Pickles started coming to Milford games and I thought there was a chance. I just always wanted to beat the man in-front of me, the prop in front of me and tear them apart. That’s still a part of me now but obviously I have calmed down, got a bit older and a bit wiser, you can’t go round trying to knock people’s heads off all the time. “It’s nice to have been involved in Leeds recent success, sometimes you sit down, think about what you have done and some players would dream to do that and you realise you are privileged to have achieved what we have, some people will never get that chance and it makes you feel lucky to have done it. Like I said before, Bails is the spice in that proverbial meal and a lot of people just can’t handle the heat. If there’s one player the away fans love to get mad at it’s him, when he’s in your team though you just can’t get enough. If you google his name you are going to be confronted with one of two things: An American Sprinter who looks uncannily like an angelic altered ego version of our Bails or you will find angry photos, news clips and lots of angry comments about him from perplexed opposing fans. A reputation sticks with you, and for some people, this type of reputation could become too heavy a rock to carry, for Ryan though it’s just the nature of the beast. In the same way an aggressive game like the National Hockey League in the U.S has enforcers, Rugby League is always going to have players known for a bit off biff and Bails thrives in it. The temptation for any outsider is to judge him and form an immediate opinion within that 80 minute glimpse, but before you do, consider that we are often products of our experiences and until you understand what people have experienced its often savvy to keep your opinions close to your chest. 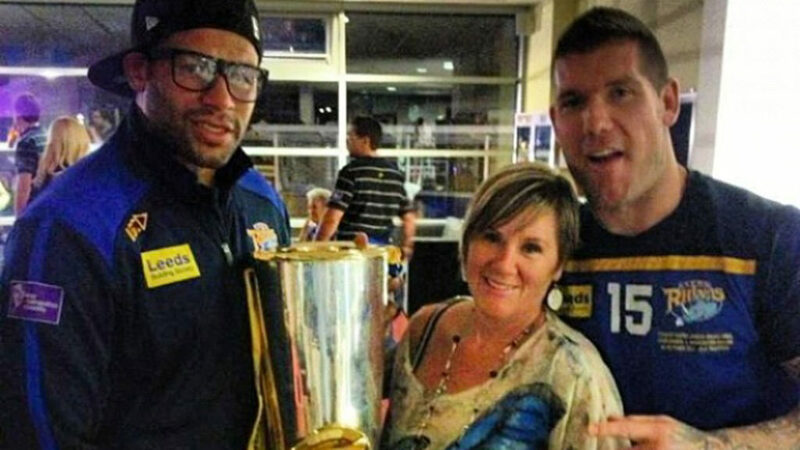 One of Ryan’s biggest life influencing experiences was when he was sent to prison along with fellow team mate, Chev Walker – another guy who is held in the dearest regard back in 2003. Clearly a tough time that had lasting and influential repercussions. He revealed, “The away fans think they get to me but they don’t, I just laugh it off, in fact it drives me on to prove them wrong really. Some people don’t rate me but it doesn’t bother me – it just pushes me on, I’m a confident person, when I get on the pitch I know what I can do and I want to prove people wrong. “I just get on with the persona, you have to take some knocks and you have to give some knocks, it’s all just part of the game. I don’t feel any pressure to be the way I am, I just want to do that, I know it will benefit our team if I can get something over their best players and stop them playing well. I love the confrontation and I don’t mind taking it, it’s not just about giving it out, I don’t mind taking it as well. I love the contact, I buzz off it. I think it’s something that came from my youth, from school when people wanted to fight me because I was the biggest guy there and I had to fend for myself. I know I’m going to cop it sometimes but I’m ready for that, the way to deal with it is to run straight over them the next time out, you don’t have to get into a fight. “People only see me on the pitch and they label me as this big bad guy, like the Mario Balotelli of rugby league, but off the pitch I’m not like that and if they knew me they would think differently. If I brought a book out it would be called something like “You know my name – not my story” because no one knows my story and you can’t judge a book by its cover. “They would read about me being brought up by my mum without a father figure there, and not having the luxuries that other players would have coming through the system. My mum was fantastic and made sure I had everything I ever needed but it was always sheer determination that got me through things. I wasn’t the most skilful player; I just got here through determination and just wanting it more than others. “Obviously people are always waiting for me to do something wrong and want to get on my back straight away, you’re just waiting for it but the likes of referees have to do their job and if you step out of line you have to be punished for it. Sometimes it’s a bit harsh but you have to take it on the chin. “When me and Chev got sent to prison in 2003 it felt like end of the world but Leeds stuck by me and I think that was a blessing. You realise what you have got when you have it all taken away from you; everything you have ever worked for and all over a senseless fight after a night out. I’ve learned a lot from it, we weren’t in jail together for more than three days, he was moved somewhere else so we both had to deal with it on our own. “I know it’s made us both stronger and encouraged us not to take things for granted, I think that was evident in both our lives getting picked for Great Britain the year after. Whilst I was inside I realised how many people cared for me, that made me happy and I realised I wasn’t a bad guy, I had just made a mistake in life. We both paid for that and have come out of it for the better. It was like two steps back when that happened, but we have made ten steps forwards since then and I hope we have made our family and friends proud in doing so. My mum and family where there through all the ups and the downs and I wouldn’t be here without them. I can’t thank them enough for that,” added Bailey. Our inspiration is what helps us grow and like fertiliser to a plant, it usually has deep connections to our roots. I can’t say I share his enthusiasm for Manchester United but I can’t argue with what he appreciates in what they have become in the world of soccer. He’s also a big fan of the raw drive that saw Mike Tyson become the youngest heavyweight in history and can relate to much of the boxers early life. Bailey added, “As a team I like Manchester United, they remind me of us, (Leeds) because they get wrote off and disliked but prove people wrong all the time and that’s a big thing for me, proving people wrong. I saw a bit of Wayne Rooney in the off season, we drop each other messages on twitter now and again, it was great to meet him and talk about his childhood and how he came through it. He came through the council estates and has done real well and he is giving it back to the kids now. “I used to like watching boxing when I was younger and I wasn’t far off taking it up. I was a fan of Mike Tyson and watched his career and I have all his DVDs, I can relate to the way he developed and to the background he came from, I like to look at people who have come through a similar background to me, who didn’t have a lot of privileges, to see how they handled it. It was his determination that stands out, he believed that no matter who he had to fight he would just walk through them, big or small, he didn’t care. That’s what I’m on a pitch for, I don’t care who it is I just want to get over the top of them.